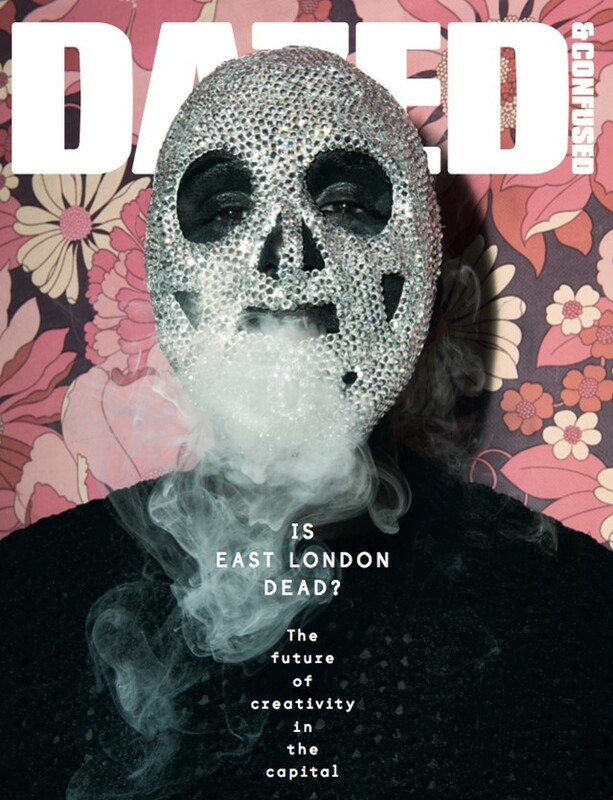 Dazed & Confused May Issue: Is East London Dead? As the world's eyes turn to east London, we investigate the capital's creative quarters, and talk to talents from the worlds of music, fashion, art, literature and beyond about the future of their scene… Let the games begin! With the arrival of the Olympics in east London, the world's attention has turned to the creative heartland of the capital. What does this mean for the artists, designers, musicians and publishers making their mark here, who face rising rents and an endlessly increasing variety of artisanal coffee? Dazed & Confused surveys those living and working in its own back yard, and asks 'Is East London Dead?' Inside, photographer Jamie Hawkesworth documents over 20 emerging talents from the worlds of music, fashion, art, photography and literature, while we talk to artists, writers and venue owners from Tim Noble and Sue Webster to The Foundry's Tracey Moberly and Savage Messiah's Laura Oldfield Ford for their insights into how the area has evolved, and the challenges it faces. On the cover is artist Theo-Mass Lexileictous, one of the ten eccentric creative characters from 'London', a shoot by legendary Swiss art photographer Walter Pfeiffer with styling by Dazed senior fashion editor Robbie Spencer. The rest of the issue's fashion heads further afield, as Chikashi Suzuki and Karen Langley shoot Tokyo's young creatives, and Jim Goldberg and Katie Shillingford take a trip around the beautiful and damned district of Pigalle, Paris. Get your new issue HERE. Dazed & Confused Archive: The entire 20-year history of Dazed & Confused is now available on Exact Editions.